Posted on September 12, 2017 September 14, 2017 by JMD Histology & Histologistics Inc.
We offer many antibody staining services, like working up protocols for unknown antibodies. This was the case for the Beta-Catenin (CTNNB1) antibody from Biolegend. 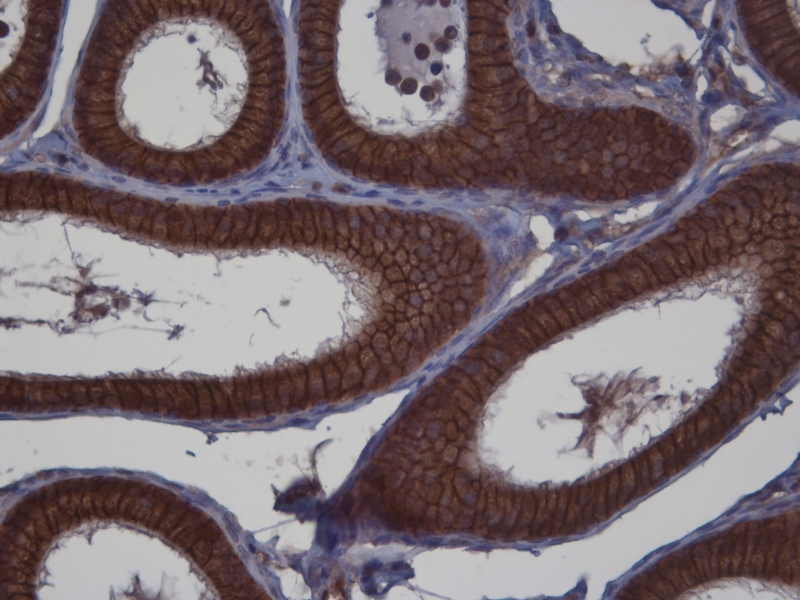 Our Beta-catenin antibody works in human, mouse and rat tissues. Both normal and abnormal tissues exhibit positive staining.